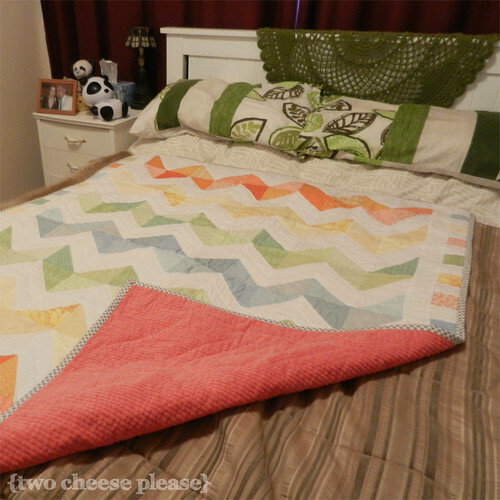 5 Responses to My first quilt. I try to name all my quilts, and really try to get a label on them too (but don’t always succeed) in order to show the year and the maker, at the very least. I have an old book of quotations from the turn of the century and I like looking through there when my brain can’t think of a title. 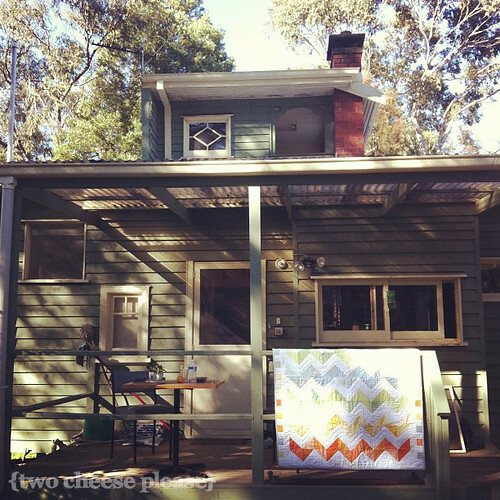 I love yours, but then I love that quilt! 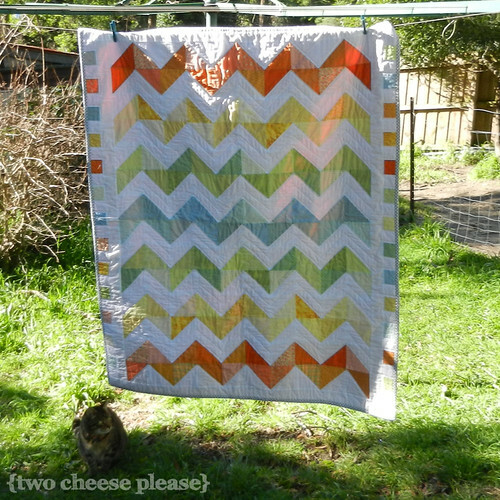 I’ve had a chevron quilt on my To Be Made List for ages, so I am a wee bit jealous of your lovely and brilliant finish. It’s so beautiful! 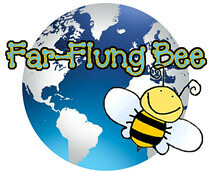 A label is so important, so you (or future generations!) can look back and know who made it and when. I must admit it’s probably my least favourite part of the whole process though. 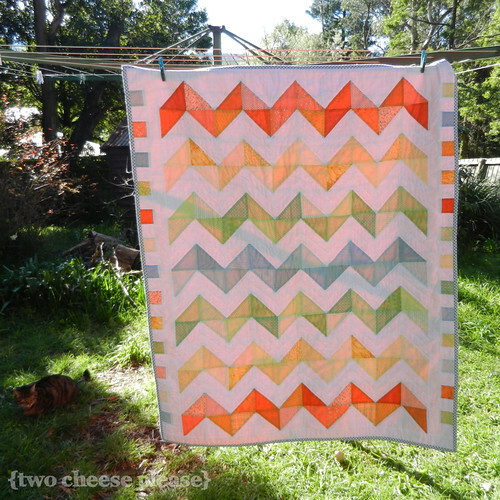 I think you should make a chevron quilt – I’d love to see yours!